Dentistry has been part of the family for several generations. His father practiced until he was 85, he was also a physician. An uncle in Switzerland, a cousin and second cousin both are dentists. Another Uncle in Europe runs a lab. A nephew is a lab technician and a brother has a practice in Burnaby. His oldest son is in school pursuing a career in Dentistry. Dr. Gabor Balogh obtained an Honors BSc in Chemistry at the University of Western Ontario and a DDS in 1985. He finished The Misch Implant Institute in 1993 performing all phases of implant dentistry since 1992. He is also a founding member and past president of the Vancouver Oral Implantology Surgical Seminars. 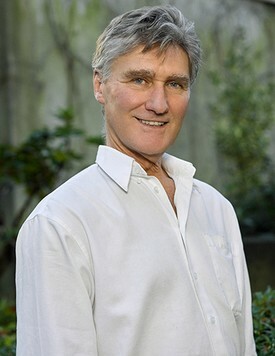 Dr. Balogh started his practice in West Vancouver in 1995 with a focus on implantology and cosmetics. Dr.Balogh is a certified provider in intravenous and oral conscious sedation from the University of Alberta. Dr. Balogh is an Associate Fellow of the American Academy of Implant Dentistry and Fellow of the International Congress of Oral Implantology. Dr. Balogh is also a member of the American Academy of Cosmetic Dentistry. Dr. Balogh was awarded a Diplomate of the American Board of Oral Implantology/Implant Dentistry in 2007. This is the highest level of recognition in the field of implant dentistry. At present there are approximately 300 worldwide and only 35 in Canada. Dr. Balogh is a clinical instructor at the Vancouver AAID Maxicourse and on staff at UBC. Dr. Balogh has over 1,500 hours of continuing education in all phases of dentistry and each year continues to accumulate additional knowledge and training through teaching, conventions and attending courses. Dr. Balogh has 4 children, two boys and two girls. Dr. Balogh has been flying airplanes for 33 years. He built an amphibian airplane from a kit which he flew for 10 years. He enjoys skiing, camping, hiking, enduro motorcycle riding and scuba diving. He has done some rock climbing and one achievement was climbing “the Chief” in Squamish. Sailing and boating is another passion and interest. He was a member of the Auxilliary Coast Guard stationed in West Vancouver.